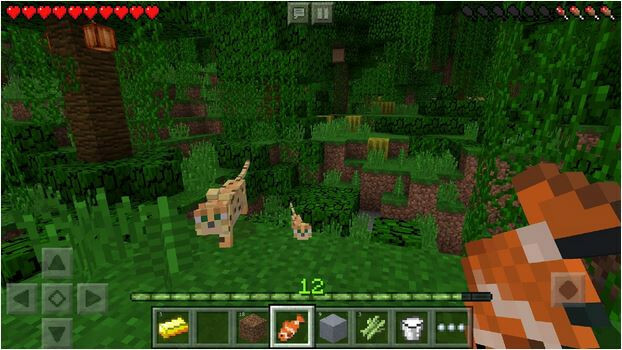 In survival games, the player must control a single character throughout the gameplay. In FPS, RTS, MMORPG or RPG, the player has access to weapons right from the word go. But this is not the case for a survival game. The character you control is full of courage, but he doesn’t have equipment that will help him survive in the hostile environment. The player must explore the map to find resources and ammunition. The survival games don’t have levels, but they may have several campaigns. Long Dark is one of the top open world survival games for PC. The game revolves around a character which is located in a cold Canadian forest. The temperature in the forest is below 0 Degree Celsius and the only equipment the character carries is a knife and a gun. The game doesn’t feature monsters, zombies, etc. Wild animals and cold are the only enemies of the player. While exploring the forest, you’ll come across several wild animals. Animals don’t like humans entering the territory. When you enter their territory, the animals will attack you. The player must keep the character nourished and warm. He must also keep an eye on the temperature and change the character’s clothing accordingly. He must explore the forest to find objects that will help the character survive in the forest. The Long Dark game features several modes. It’s fun to play. MMIO is one of the latest survival games on our list. In MooMoo, the player must gather resources, build objects, and protect his character from other online players of this game. To build structures, you must gather natural resources from the surrounding. 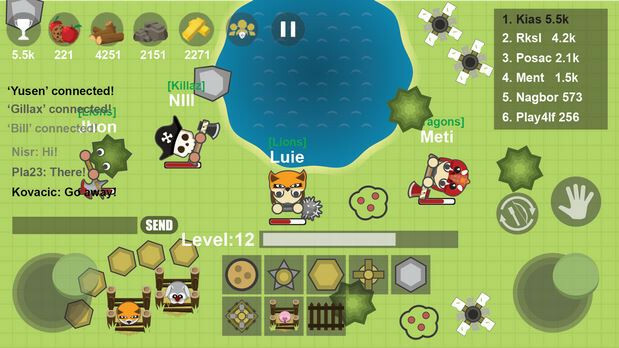 While gathering the resources, you’ll be attacked by other MMI players. If the character is hurt, you can restore its health by making it consume fruits. MMIO lets users equip their characters with different hats and accessories. MM is played by several 1000 players at a time. The player must use the keyboard’s arrow keys to move the character. You can play the game on your Android, IOS device or the browser of your PC. MooMoo features a leaderboard module which gets updated in real-time. Ark Survival Evolved is an open-world game in which the player must survive on an island where deadly pre-historic animals like dinosaurs, Mammoths are roaming freely. The player must explore the island to find food, clothing, and shelter. While doing so, you’ll come across several wild creatures. Fortunately, the character you control is equipped with various weapons. You must kill the creatures before they kill your character. The health of the character will decrease when the creatures attack him. To restore health, the character must consume food. 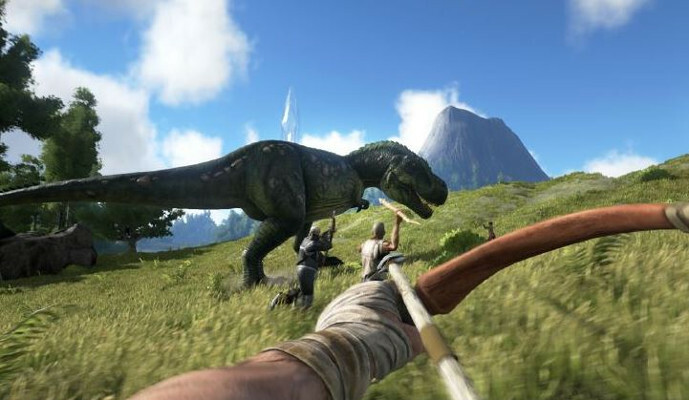 Ark Survival Evolved game has beautiful 3D graphics and animations. Last day on Earth is one of the most downloaded survival game in the App Stores. The player’s objective in this game is to survive as long as he can. The first hour of the game is tough because the player must control and protect an unarmed and unclothed character. The zombies know your character’s location and they’ll try to kill him. 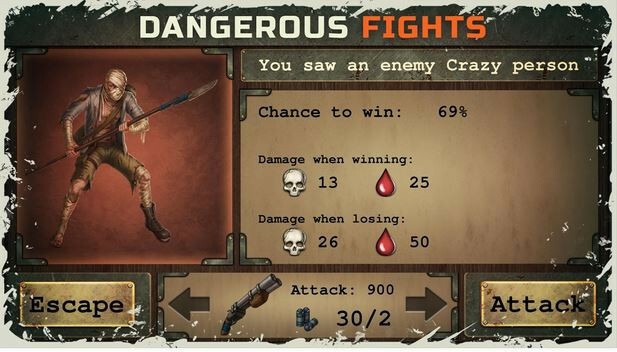 The health of the character will decrease on every blow he takes from the Zombie. As the character is unclothed, the impact of the blow will be great. The game allows users to build structures in their base. It also enables players to pick up the weapons that were carried by deceased humans. To find the victims of zombies, you must explore the map and to build a structure, you must gather lumber, iron ore, berries. You can’t build structures anywhere you want. The game assigns you a piece of land. The area under your control will increase when you complete certain tasks. The game features a minimap that displays the location of zombies in real-time. Minecraft is the most popular survival game. The game features a campaign called survival mode. In this mode, the player must defend his character from the hostile mob/mythological creatures, build structures, collect resources, explore the map, find edible items, etc. The Minecraft game features several tasks. When you complete a task, the game will reward you a trophy. It will also increase your experience. Unlike other survival games, Minecraft allows you to build various types of structures. For example, you can build a swimming pool, castle, pyramid, stable, windmill in Minecraft. When you’re playing Minecraft in Survival mode, you can see your character’s health details. The health will deteriorate when you’re under attack. Minecraft allows users to restore their character’s health by consuming food. The Minecraft game doesn’t have compelling graphics, but it’s highly addictive. The Day R Survival game has an interesting storyline. The player must find a family by exploring towns and cities in USSR that were destroyed by weapons of mass destruction. While exploring the town, the character might contract pandemic diseases or encounter zombies and creatures that have survived the attack. The player might also find weapons and resources that will help him accomplish the task. The character might lose health while searching for the secrets. Fortunately, the game lets users restore the health of the character. Day R Survival game has three difficulty levels. You can play DRS in two modes, online or offline. 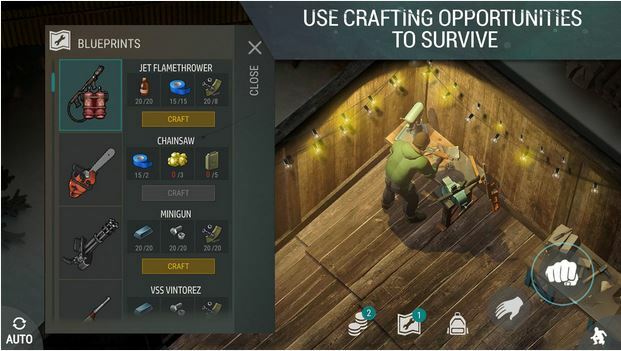 The Long Dark, Ark, Day R, MooMoo, Minecraft and Last Day on Earth are the best survival games for computers and Android devices. MMIO, LDE, and DRS are free games which you can play on your Android or IOS device. The remaining 3 games support Windows, Linux, and Mac OS.